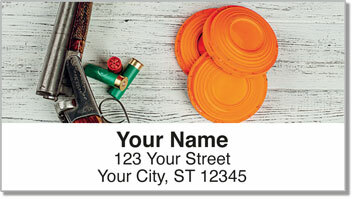 If you get a thrill from taking out clay pigeons and shooting skeets out of the sky, this is the perfect style of return address labels. Those who have mastered the sport of trap shooting know that you need to develop a rhythm and time your shots precisely. Of course, you also need to have pretty good aim! 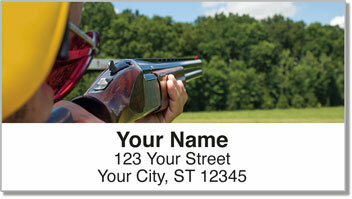 Trap Shooting Address Labels from CheckAdvantage are a great way for an outdoorsman like you to mark your outgoing mail. 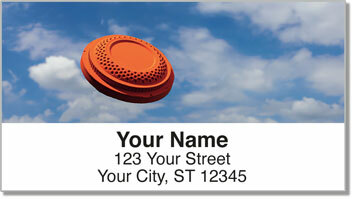 The tedious task of writing your name and address on every envelope gets blown away by these self-adhesive labels. Just peel and place! 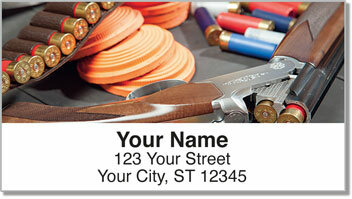 Order your own Trap Shooting Address Labels now! You can also get matching personal checks.